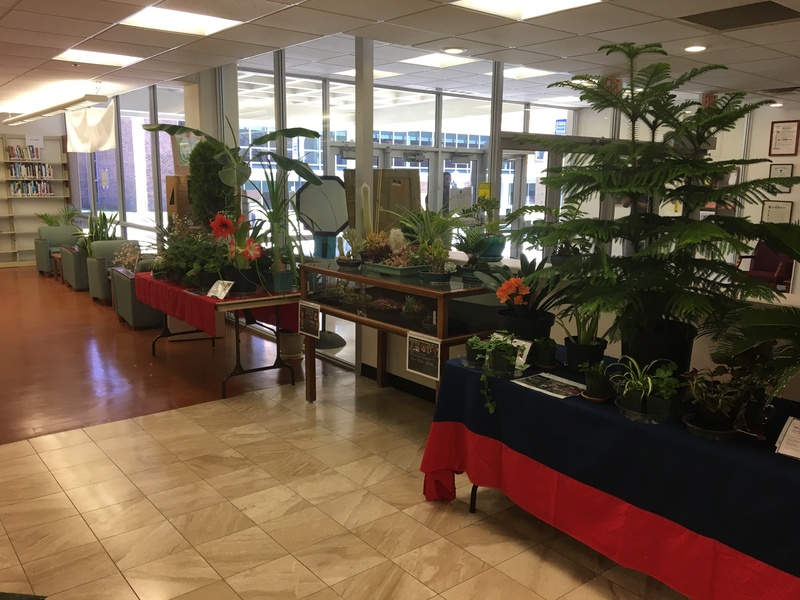 BLACKWOOD – Camden County College biology students arranged and opened a month-long horticulture display in the Wolverton Library on April 3 in honor of Earth Day. The horticulture display is exhibiting about 25 plants cultivated by Bio-225 students and Dr. Daniel Flisser. It consists of both flowering and tropical plants, including coleus, jade and aloe vera. The plants speak to the diversity of the project. The students are keeping the plants in rotation, based on the plants’ needs and stress levels, while they are on display. As plants begin to look dry or wilt, the students are returning them to the campus greenhouse and replacing them in the display. The display will remain in the library until the end of April. Every plant on display was grown in the campus greenhouse. In class, the students learned about the various plant structures and the cultivation techniques best suited to each, which they then applied to their plants in the greenhouse. Vegetative propagation is a form of asexual reproduction in plants. Students began cultivating plants and working in the greenhouse at the beginning of the semester, while the teacher plants had been growing for years. Flisser and his students wanted to promote an interest in science and the health benefits the plants can provide. “It’s also a great way to advertise the greenhouse,” added Steve Morrone, another student who participated in the project. Frey saw the display as an opportunity to educate his peers.